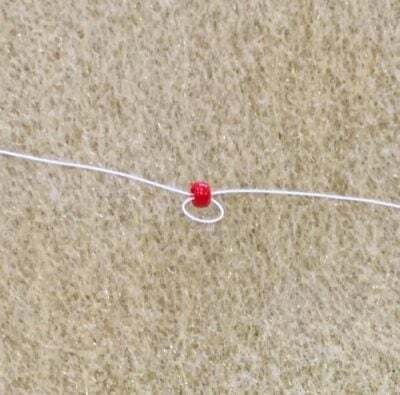 Thread your needle with the longest length of DuraThread that you’re happy working with. 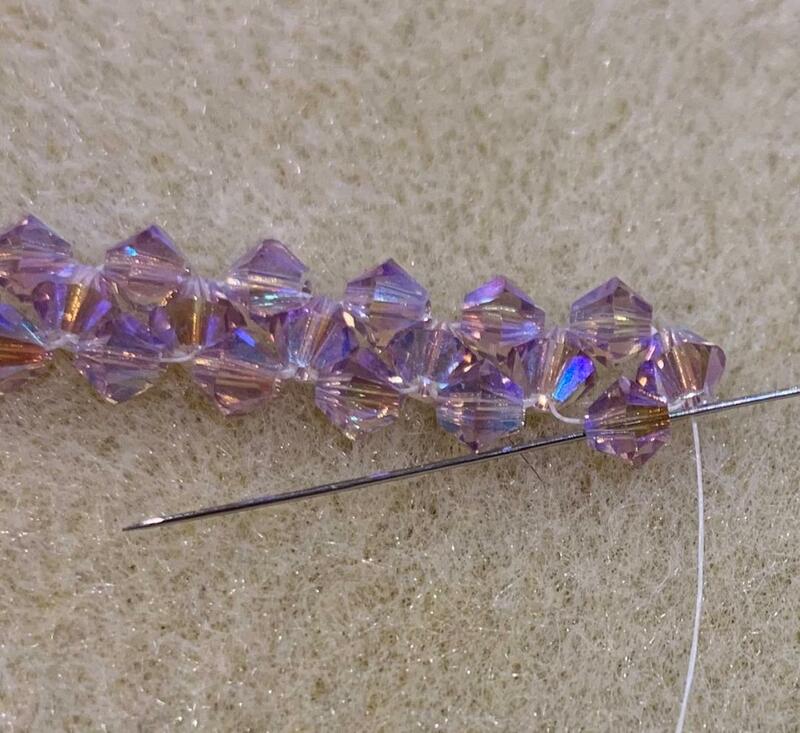 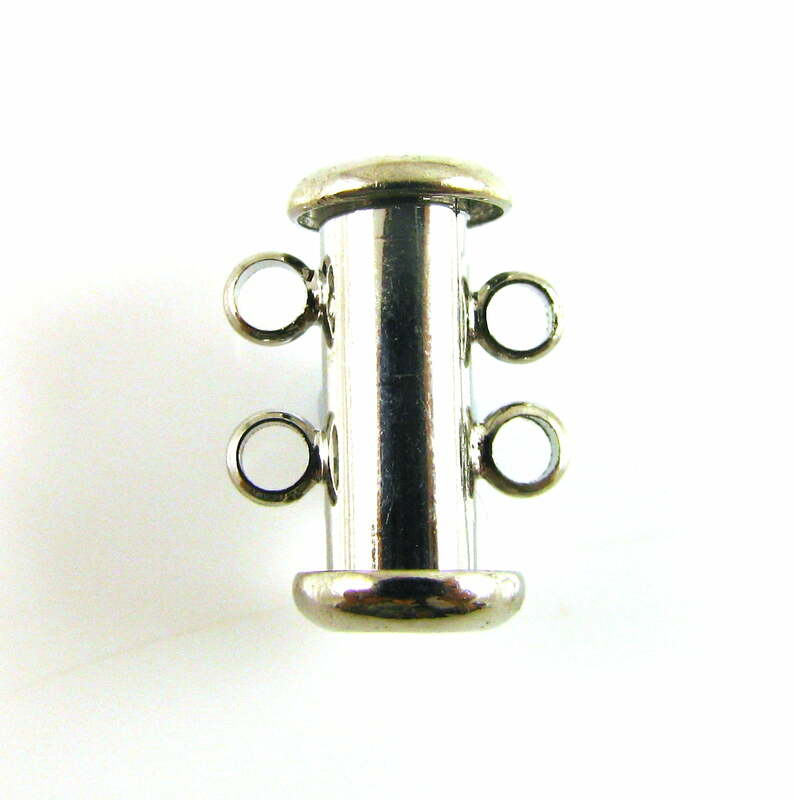 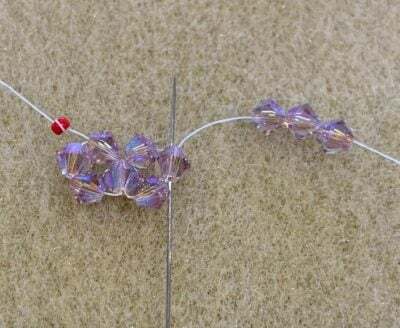 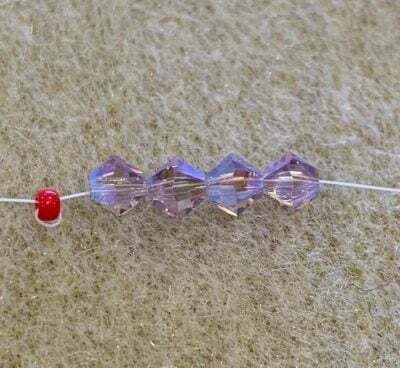 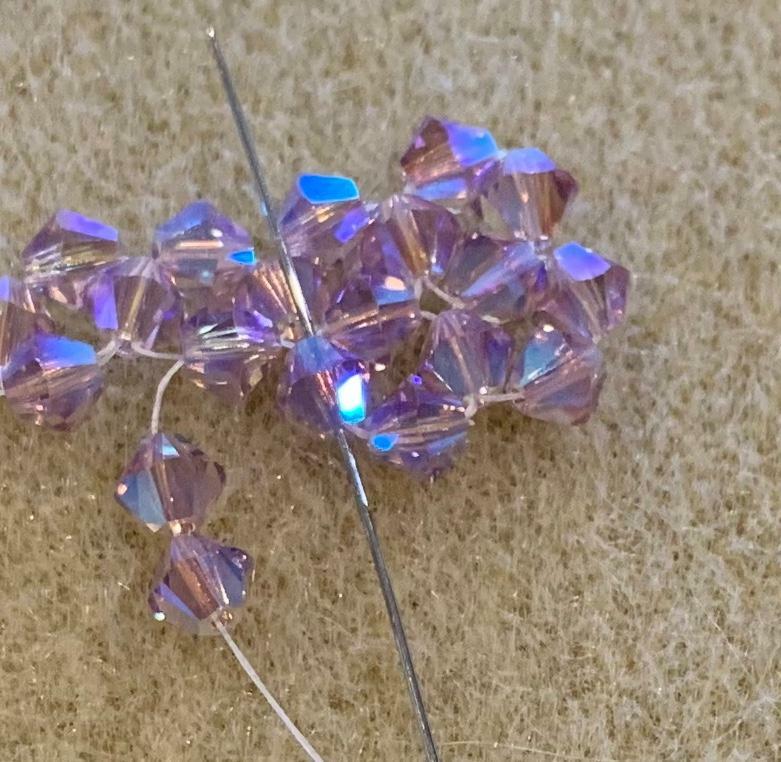 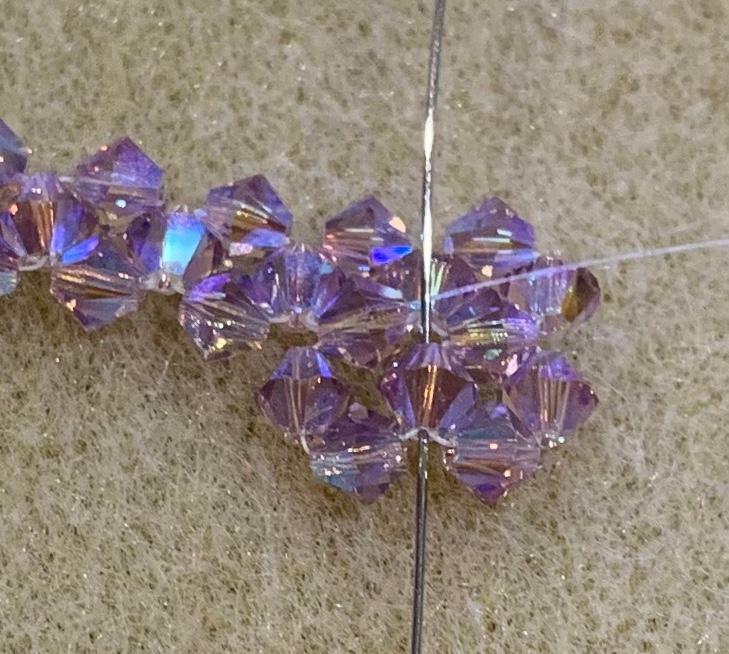 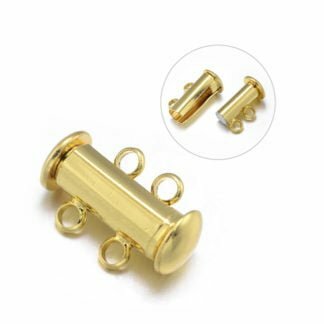 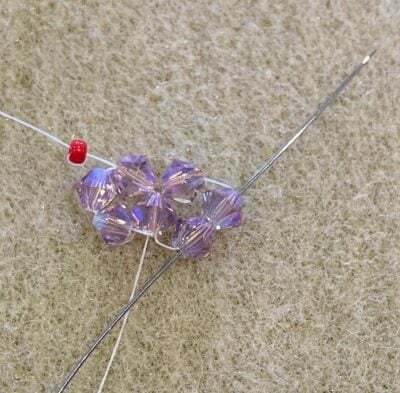 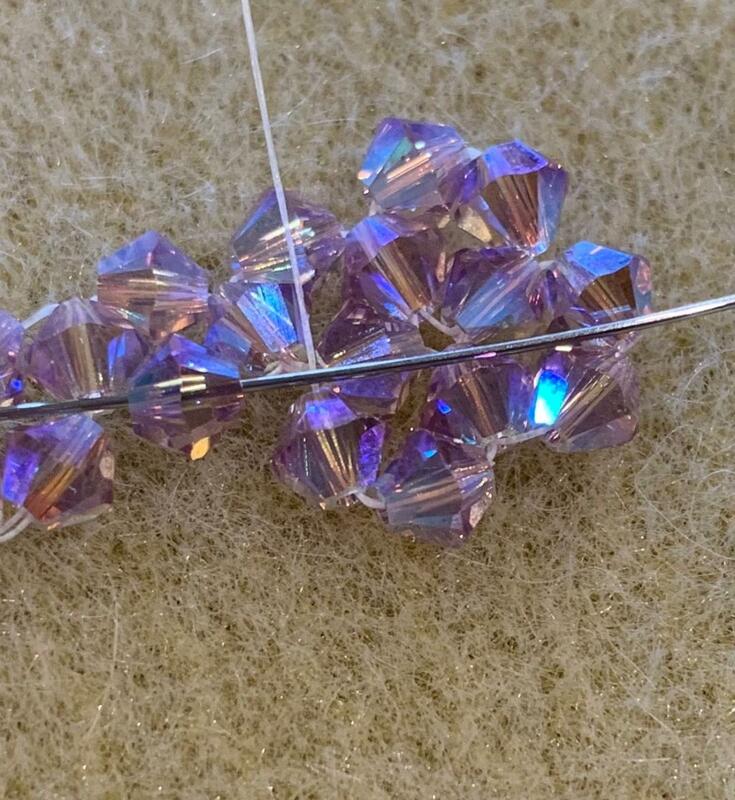 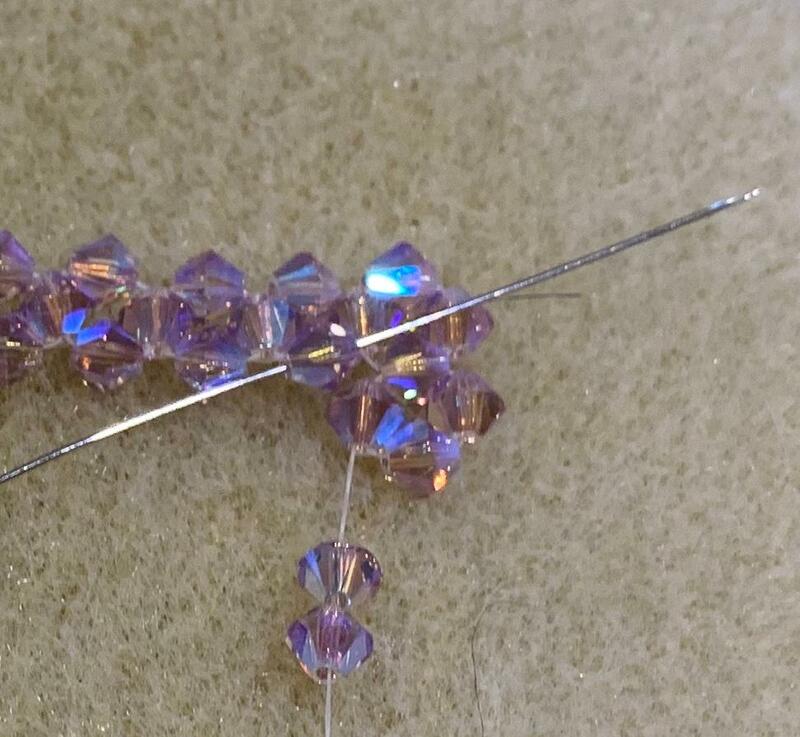 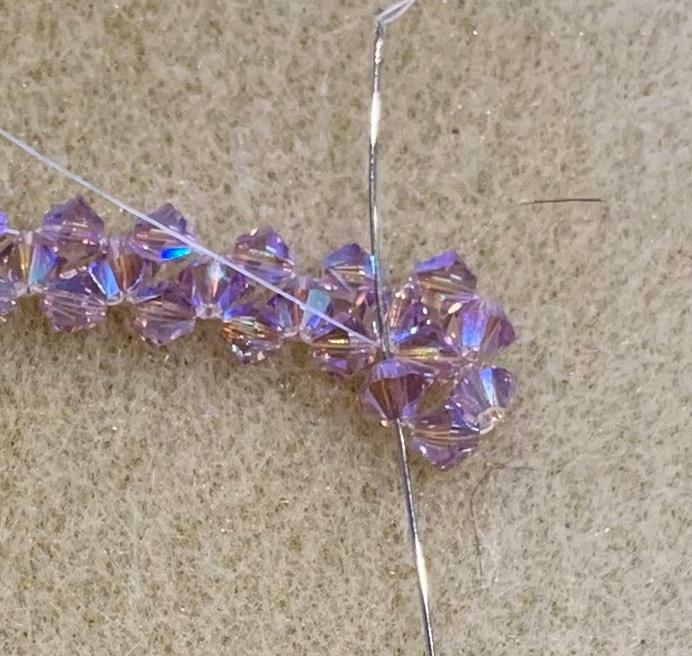 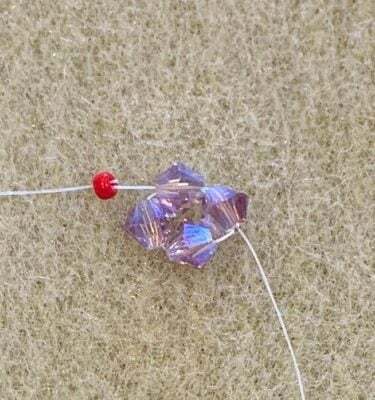 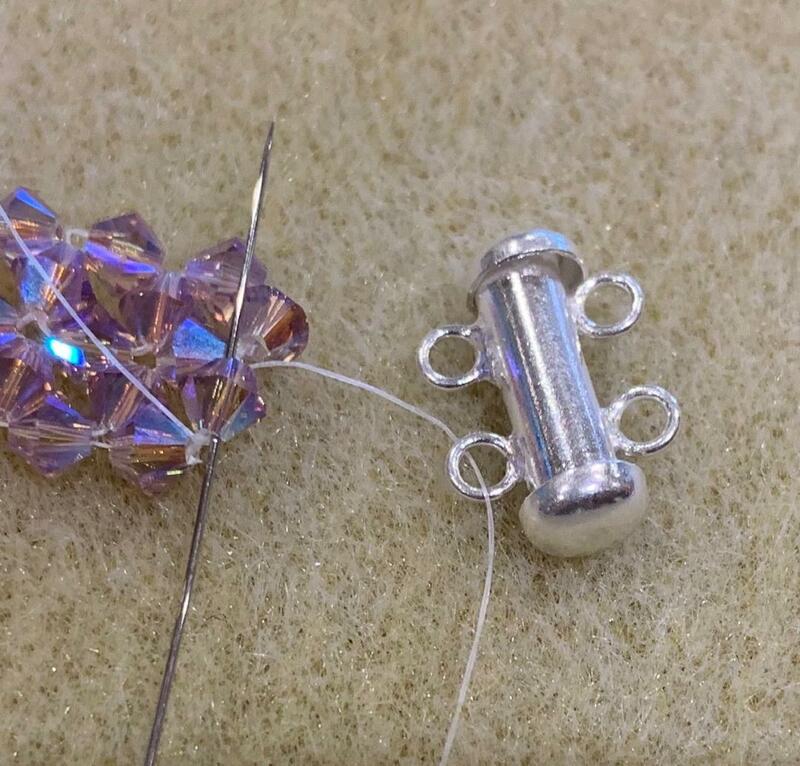 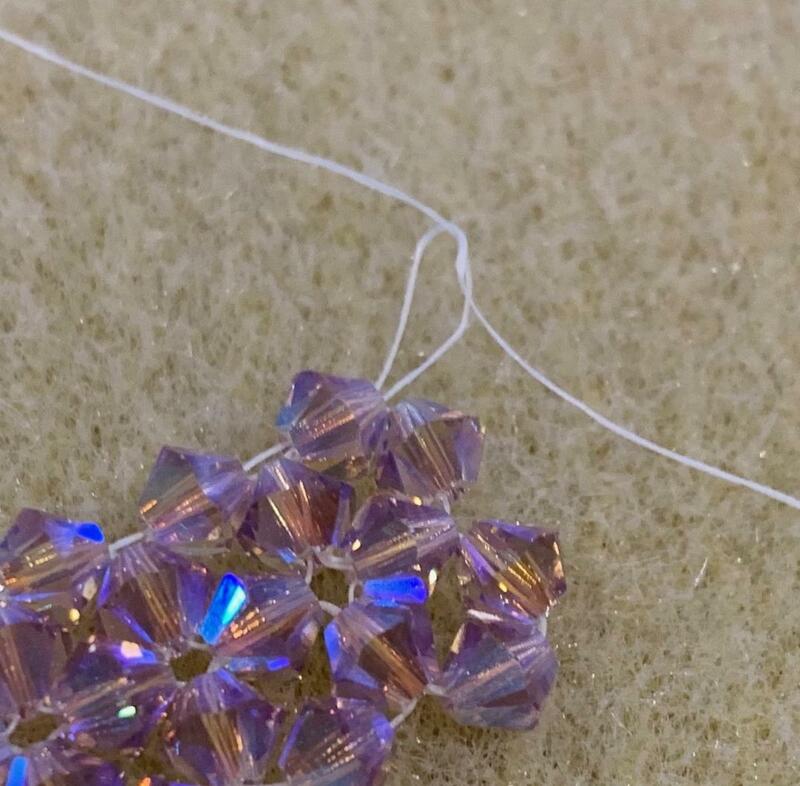 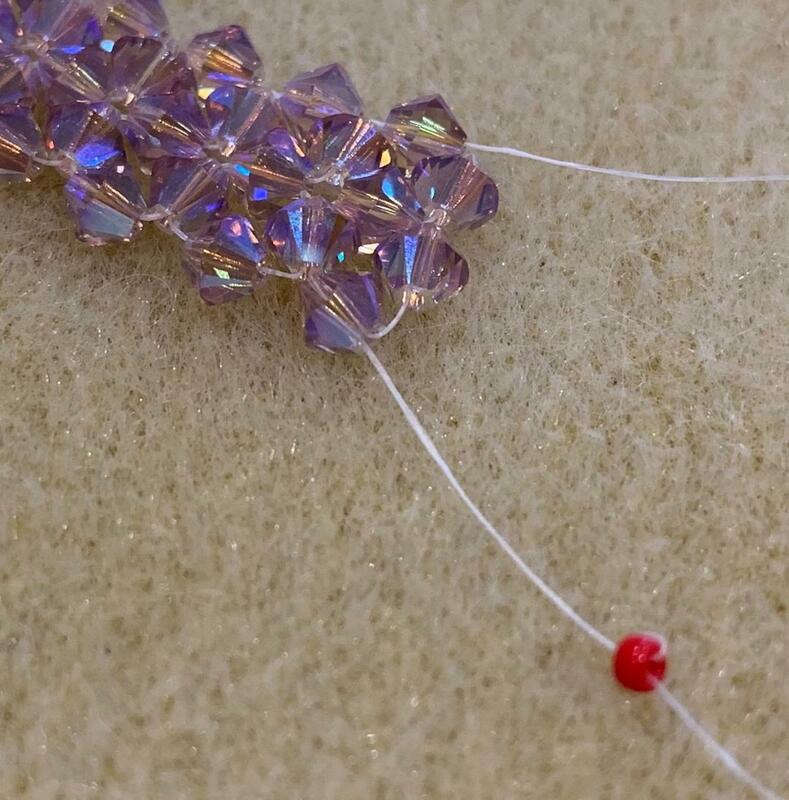 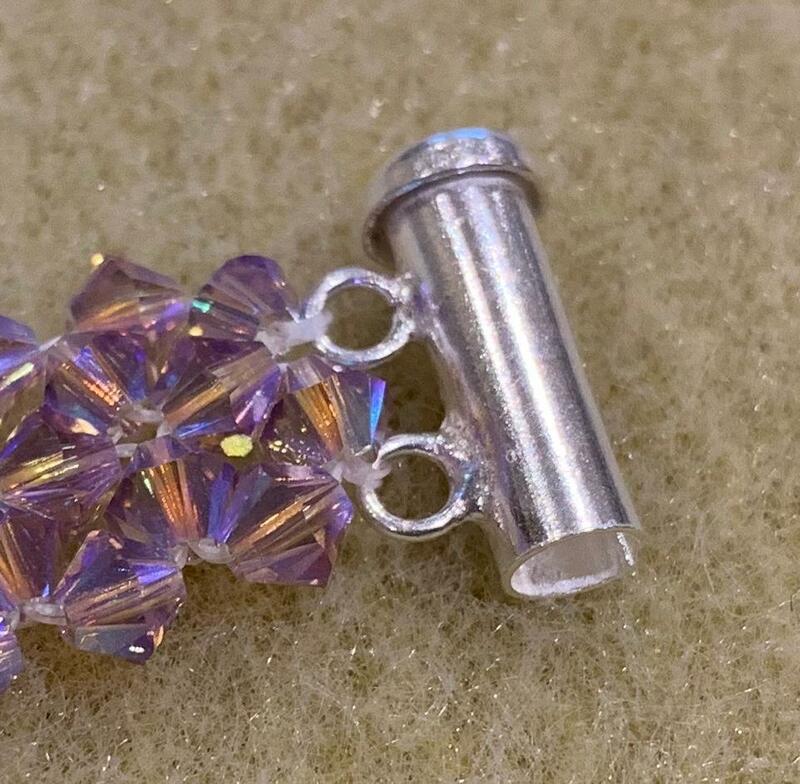 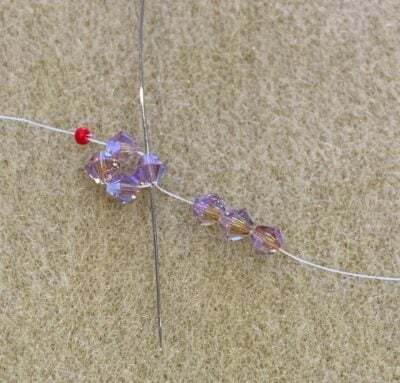 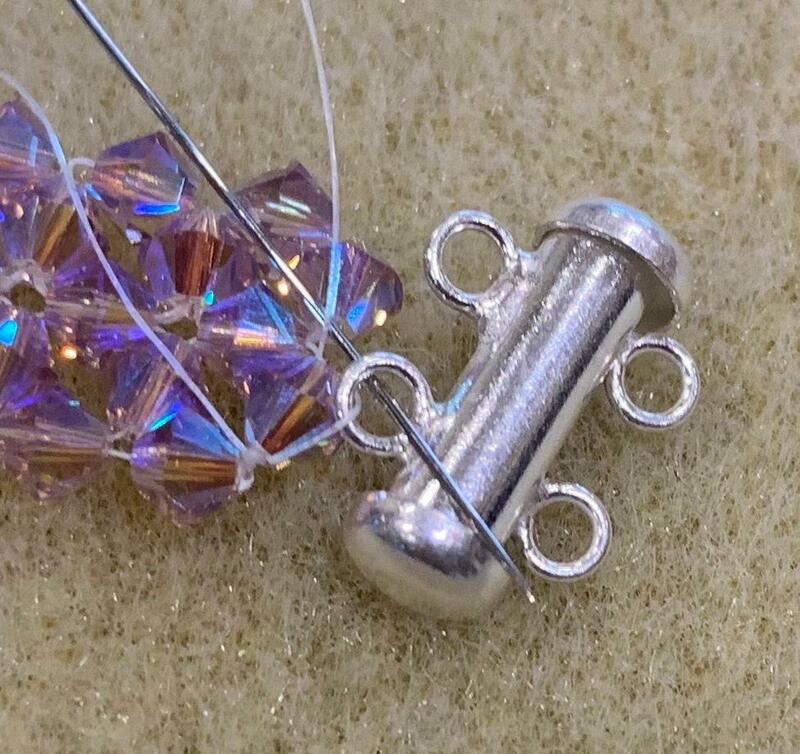 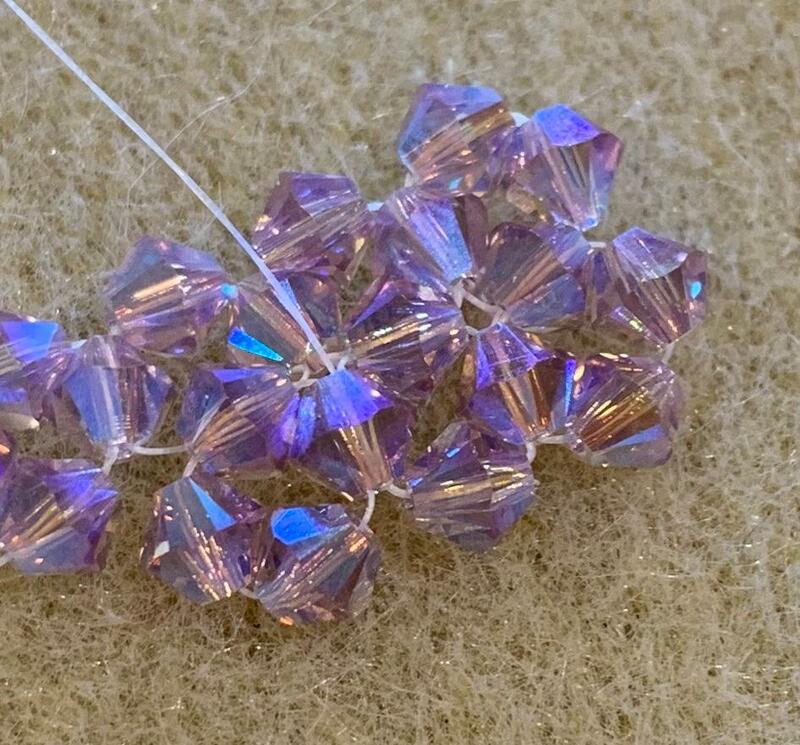 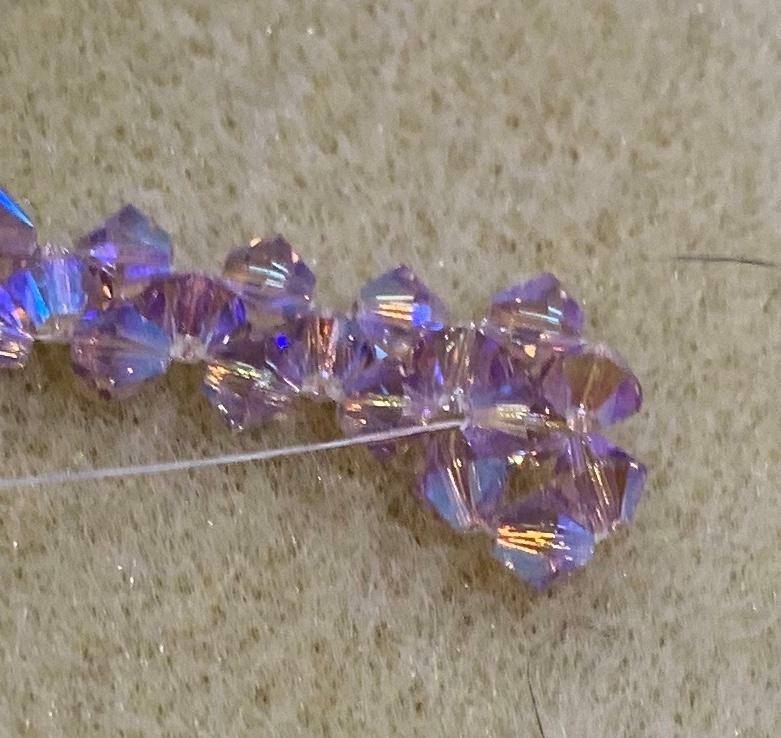 Add a stop bead to your thread and leave a tail that you can weave back into your work later on. 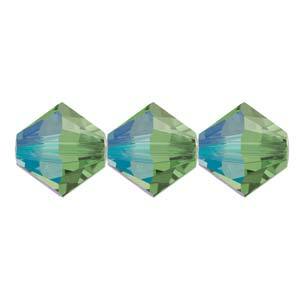 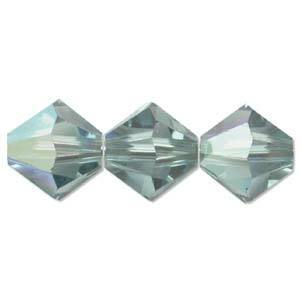 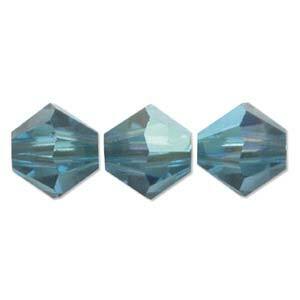 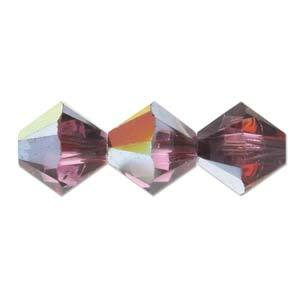 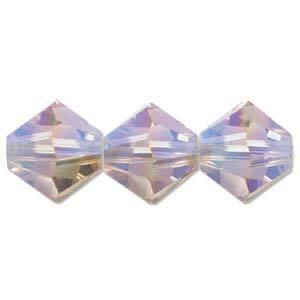 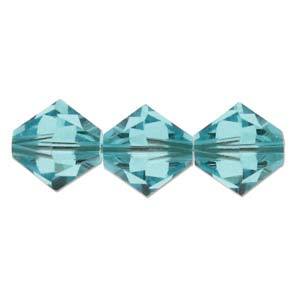 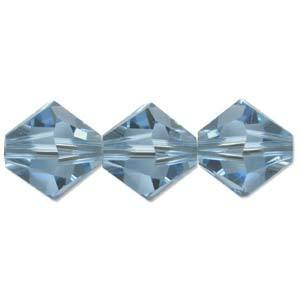 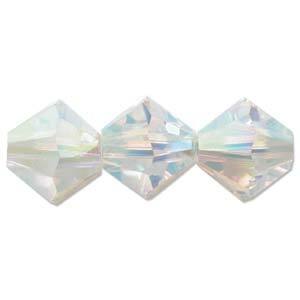 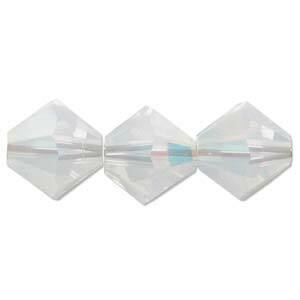 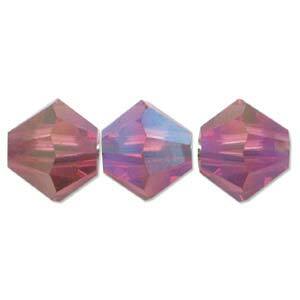 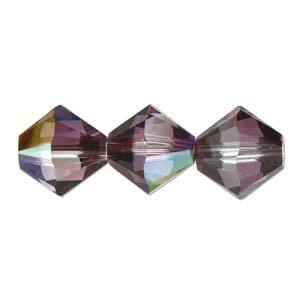 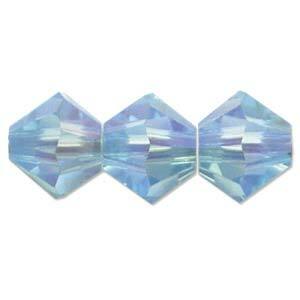 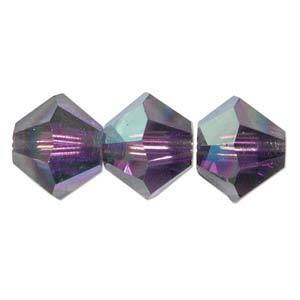 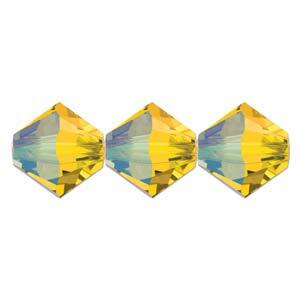 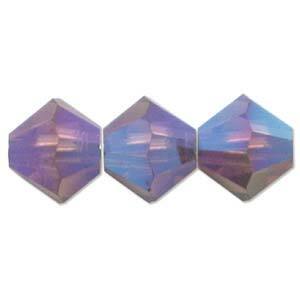 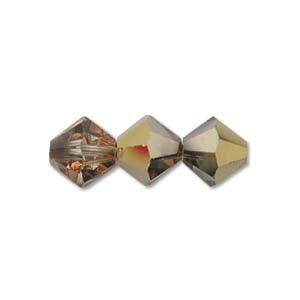 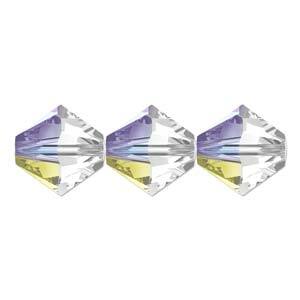 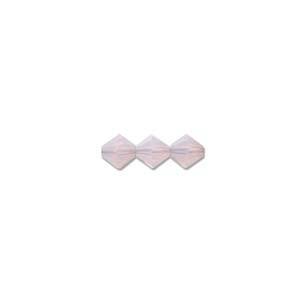 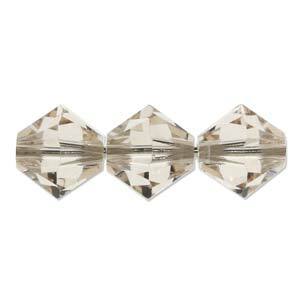 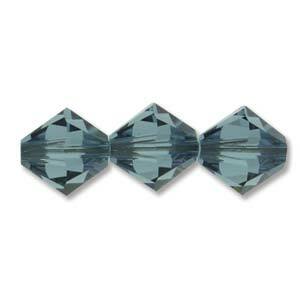 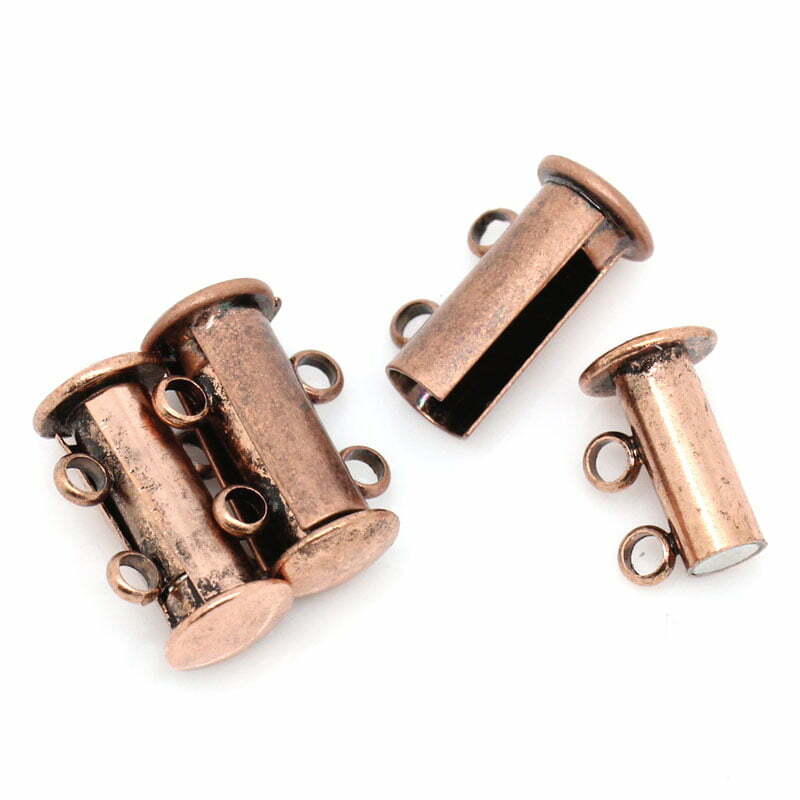 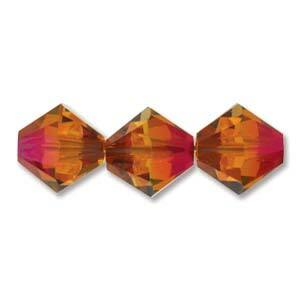 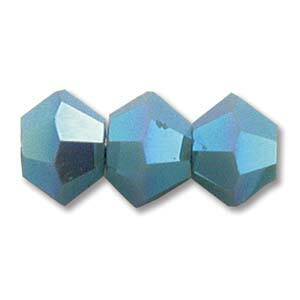 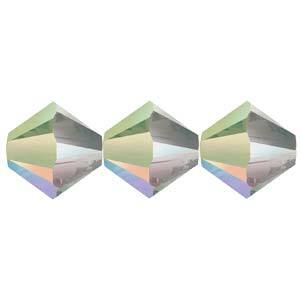 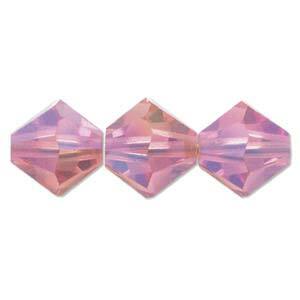 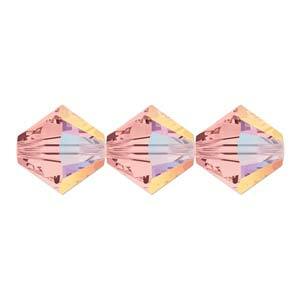 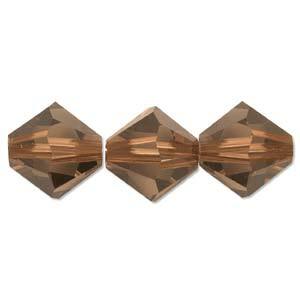 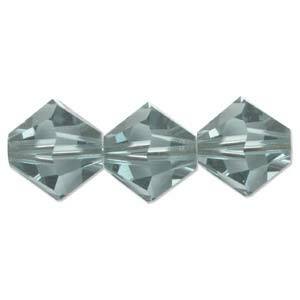 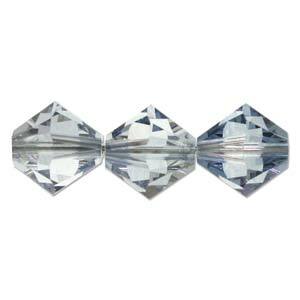 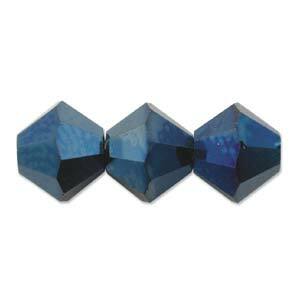 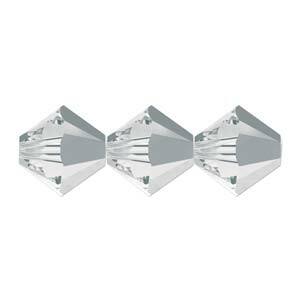 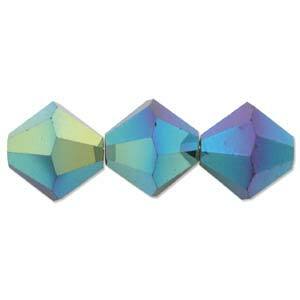 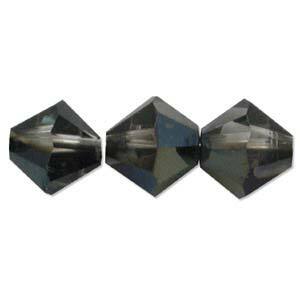 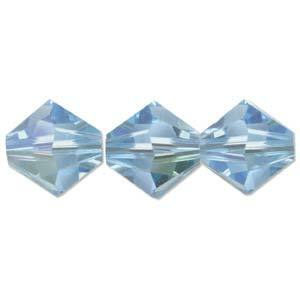 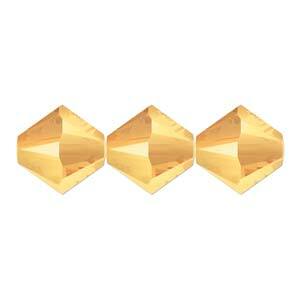 Pick up 3 crystals and sew back through the crystal you exited in step 3 and the first two you picked up in this step. 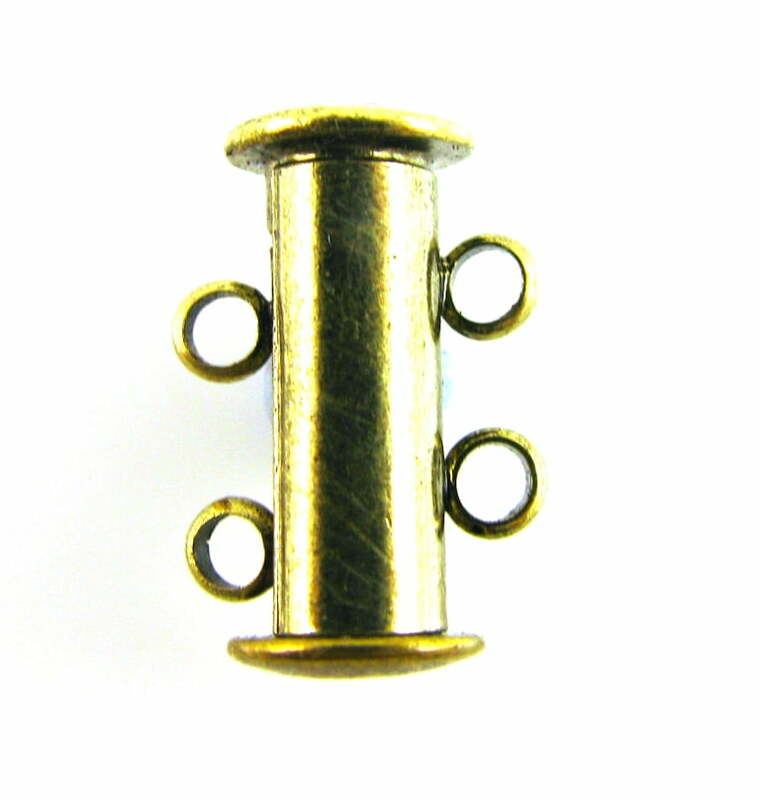 This is your second unit of right angle weave. 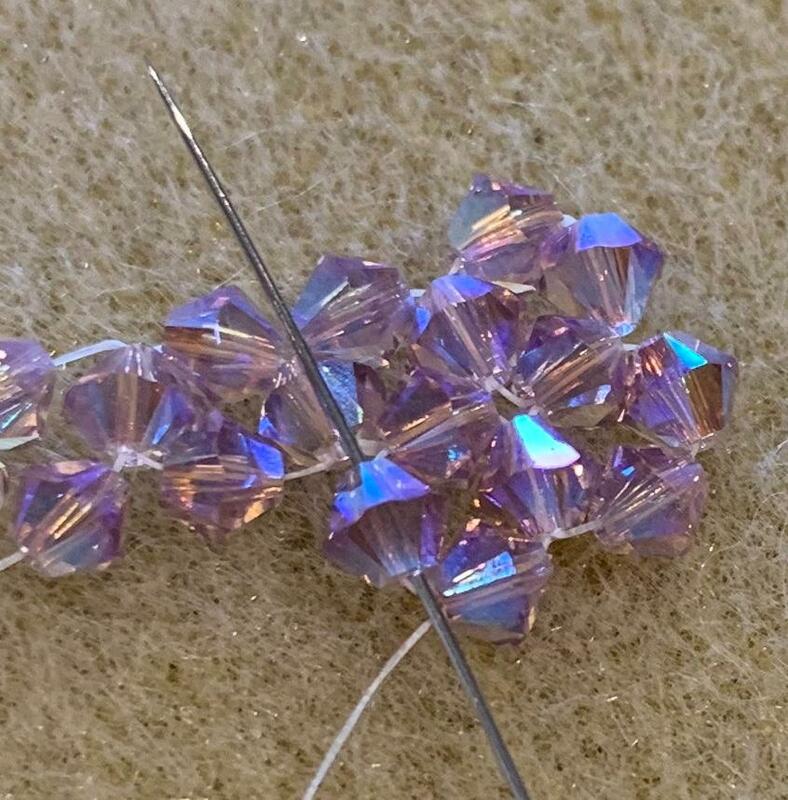 Now stitch through your work until you reach the tail of thread. 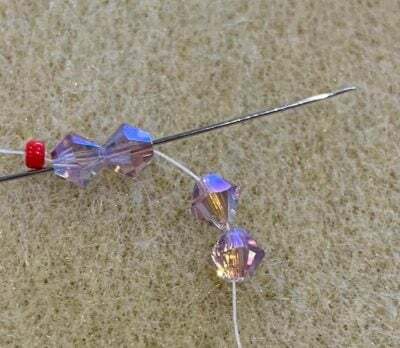 Remove the stopper bead and knot the tail of thread and the working thread together several times. 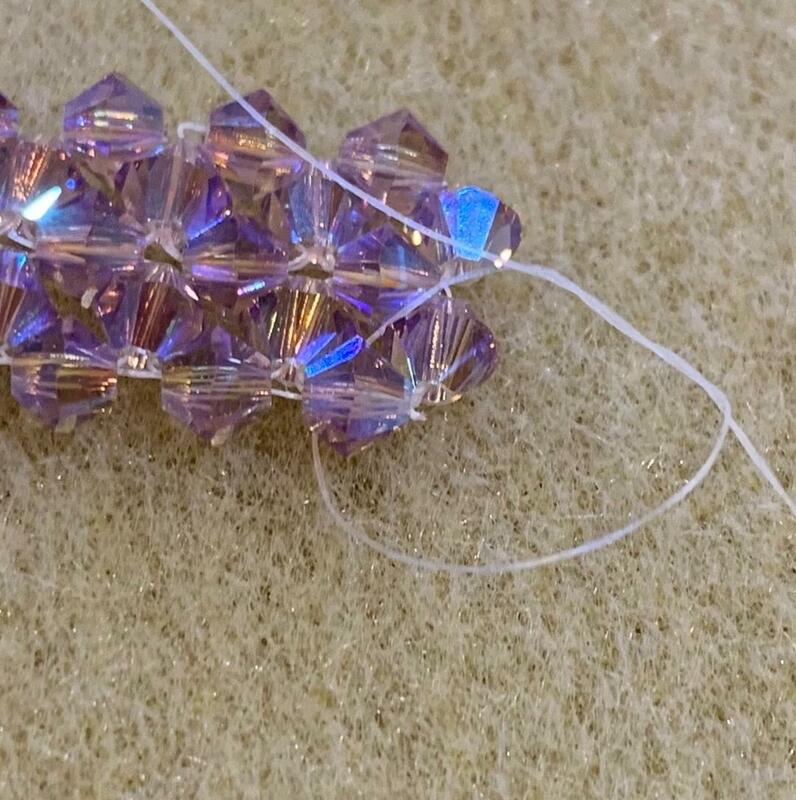 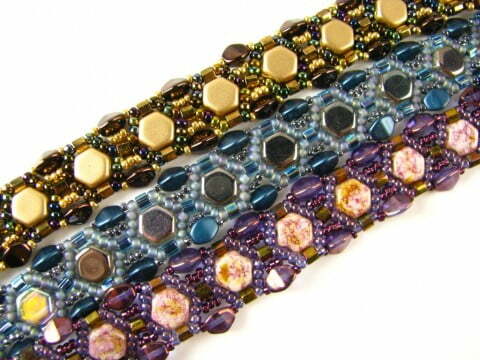 Weave the ends back into your work and knot several times around the thread in between your beads. 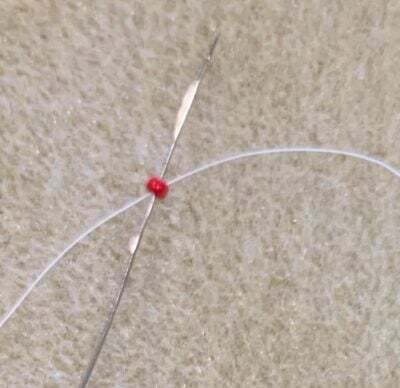 Trim off the ends of thread. 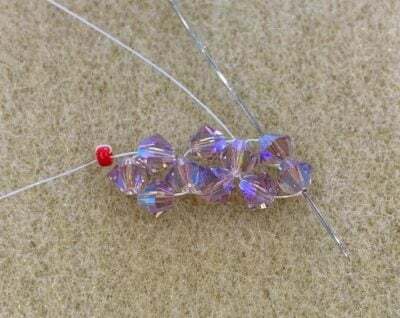 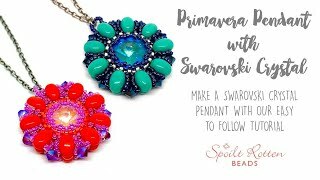 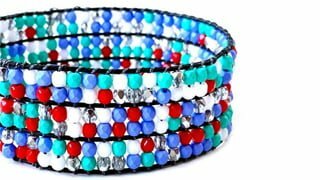 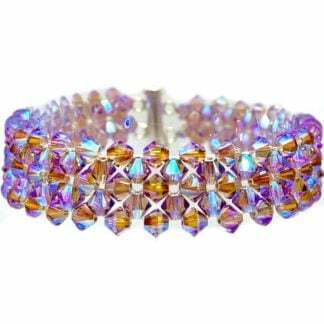 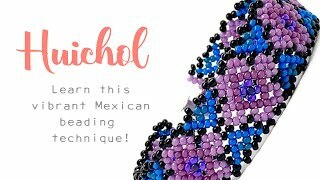 Finish your thread by knotting several times around the thread in between several beads, pull your knots inside the next bead and trim. 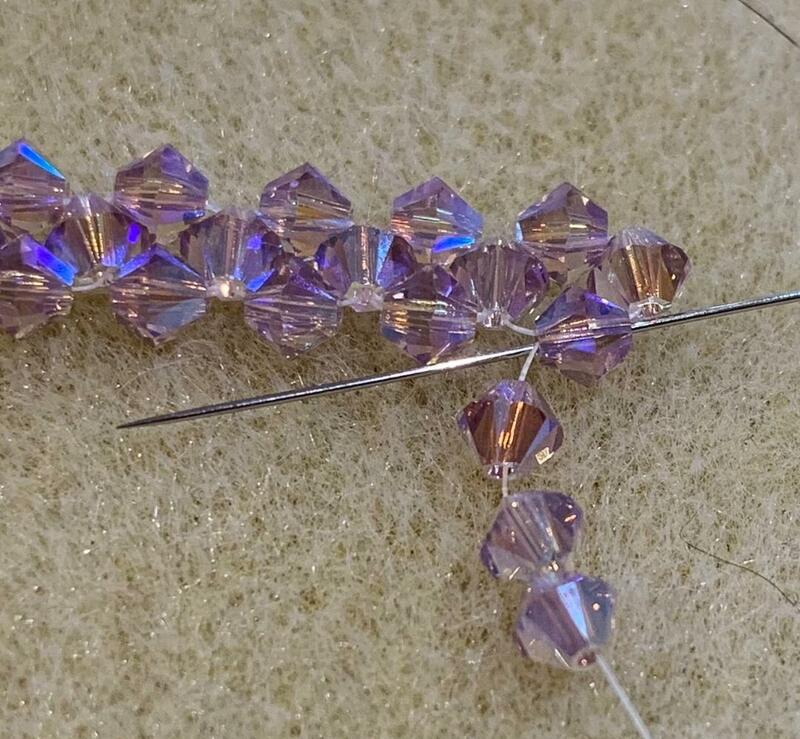 Repeat steps 13 – 15 for the other end of the bracelet.